These 11 medical representative skills are the skills that one of the biggest medical devices companies used between 2003 and 2008. They help reps make better pitch when closing or equip them with better negotiation tactics. In short, these skills for selling help them, and perhaps you, sell better and sell more. The techniques are as follow. ii. Look at what's going on in prospect business currently and their working environment. iii. Identify space that allows rep to come in to partner with prospects. It's a long term view of the situation. Can a medical rep spot any opportunity to work with prospect? i. What do medical representative expect from the sales call today? ii. What are the long term expectation? iii. Are the objectives specific, result oriented and realistic? iv. Did medical rep record it down? i. What message are put across to the prospects? ii. What are the key points? iii. Any visual aids to use? iv. Any supporting documents needed to reinforce statement? v. What else are needed to get the message across effectively? Good impressions lead to rapport and rapport leads to trust. Medical representative already know that trust is important in building relationship. 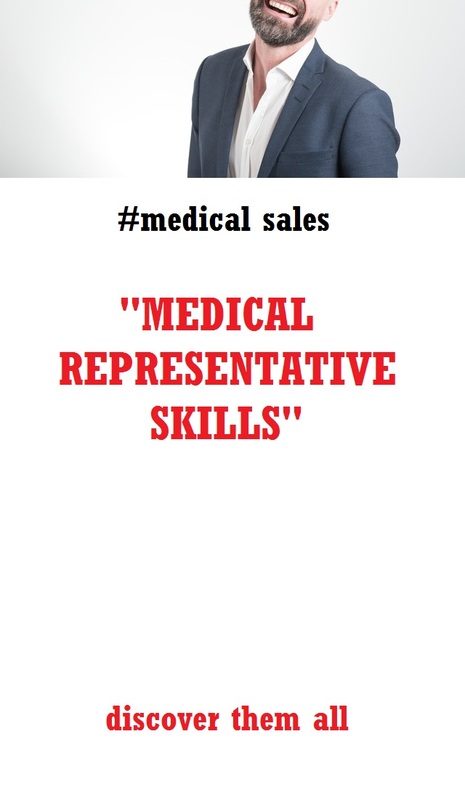 Almost certainly, once you become a medical representative for a company, you will be selling multiple items. Except in cases where your bonus is reliant only on a single product, cross promoting or cross advertising should take place naturally. You go back to them about the un-answered query, to provide facts and data as promised, to prepare for event or program, etc. This can be the missing link among the medical representatives who are top performers from the reps who make it big one time and then disappear.